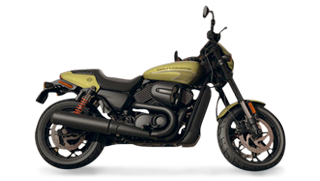 Your bike deserves the very best when it comes to its care and at Harley-Davidson of Fresno we aim to provide just that and much more. Our service departments are staffed by trained technicians providing the very latest in diagnostic and repair techniques using genuine parts and accessories, providing dependable service with a final quality check prior to you getting back on the road. 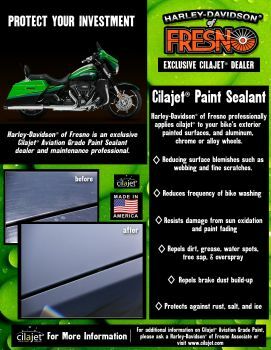 Don't forget to ask our experienced service writers about our CILAJET paint sealant! Great protection for your bike and a BEAUTIFUL finish!